12 Ago 2009 -Updated the Swap List. New link. 05 Ago 2009 - New friend. Updated the Swap List. New link. 16 July 2009 - New friend. 1 July 2009 - Updated the friend. 30 Jun. 2009 - Updated the Swap List. 20 Jun. 2009 - Updated the Swap List. 28 May. 2009 - Updated the Swap List. 20 May. 2009 - New friend. 13 Apr. 2009 - New friend, Updated the Swap List..
31 Mar. 2009 - Updated the Swap List. 18 Mar. 2009 - New friend. 08 Mar. 2009 - New link. 03 Mar. 2009 - Some minor fixies. 03 Mar. 2009 - New Picture section. 11 Feb. 2009 - New link. New Error. 04 Feb. 2009 - Updated the Swap List. 18 Nov. 2008 - Updated the Swap List. New friend. New link. 12 Nov. 2008 - New friend. 05 Nov. 2008 - Updated the Swap List. 21 Oct. 2008 - New link. New Umor. Updated the Black List. New friend. 19 Oct. 2008 - Updated the Swap List. 14 Oct. 2008 - New link. Updated the Black List. New friend. 02 Oct. 2008 - New friend. 29 Ago. 2008 - New link. 24 Ago. 2008 - New link. 20 July. 2008 - Updated the Black List.. Updated the Swap List. 18 June. 2008 - New friend. Updated the Swap List. 17 June. 2008 - New link. 12 June. 2008 - Updated the Swap List. 02 June. 2008 - Updated the Black List. 27 May. 2008 - Updated the Swap List. 14 May. 2008 - Updated the Swap List, New link. 12 May. 2008 - Updated the Swap List. 12 Apr. 2008 - Updated the Swap List. 02 Apr. 2008 - New link. New Error. 13 Feb. 2008 - New link. 02 Feb. 2008 - New friend - Updated the Black List. 21 Jan. 2008 - Updated the Black List. New link. 09 Nov. 2007 - New friend. 08 Nov. 2007 - New friend. 22 Oct. 2007 - New friend. 21 Oct. 2007 - Updated the Swap List. 01 Oct. 2007 - new section: How to wrap coins. 28 Sep. 2007 - Updated the Swap List. 15 Sep. 2007 - Updated the Swap List, New link. 03 Sep. 2007 - New friend. 02 Sep. 2007 - Updated the Swap List, New Error. 28 Aug. 2007 - New friend, updated the Swap List, updated the Black list. 26 Aug. 2007 - Updated the Swap List, New link. 05 Aug. 2007 - Updated the Swap List - New friend. 29 July 2007 - Updated the Swap List - New friend. 21 July 2007 - Updated the Swap List - New friend. 06 July 2007 - Updated the Swap List. 24 June 2007 - New Error. 11 June 2007 - New friend. 07 June 2007 - New friend. 27 May 2007 - Updated the Black list. 12 May 2007 - Updated the Swap List. 06 May 2007 - Updated the Swap List, New Error. 30 Apr. 2007 - Updated the Swap List, New link. New Error. 25 Apr. 2007 - Updated the Swap List, New friend. 09 Apr. 2007 - Updated the Swap List, New friend. 30 Mar. 2007 - Updated the Swap List. 15 Mar. 2007 - Some fixies, New Links. 02 Mar. 2007 - Some fixies, New Link. 25 Feb. 2007 - Updated the Swap List, New friend, New Link. 13 Feb. 2007 - Updated the Swap List, New friend. 14 Gen. 2007 - Updated the Swap List, New friends. 07 Gen. 2007 - Updated the Swap List, New friend..
05 Gen. 2007 - Updated the Swap List. 14 Nov. 2006 - Little Improvment. 27 Oct.. 2006 - New friend. 15 Oct.. 2006 - New friends. 14 Oct. 2006 - Updated the Swap List. 09 Oct. 2006 - Updated the Swap List. 08 Oct. 2006 - Updated the Swap List. 06 Oct. 2006 - Updated the Swap List. 24 Sept. 2006 - New friend. 13 Sept. 2006 - Updated the Black list. - New friend. - Updated the Swap List. 10 Sept. 2006 - Updated the Black list. 09 July 2006 - New friend. Fixed some errors in Italian coins page. 29 May 2006 - New friend. 08 May 2006 - New friend. 01 May 2006 - Updated the Swap List. 30 Apr. 2006 - Updated the Swap List. 22 Apr. 2006 - Updated the Swap List, New friend. 19 Apr. 2006 - New friend. 17 Apr. 2006 - Updated the Swap List. 15 Apr. 2006 - New friend. 07 Apr. 2006 - Updated the Swap List. 02 Apr. 2006 - Updated the Balck List. 28 Mar. 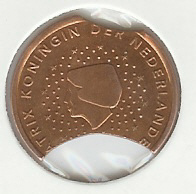 2005 - New Error from The Netherlands. - Updated the Swap List! 26 Mar. 2005 - New friend. 5 Mar. 2005 - Updated the Swap List! 27 Feb. 2005 - Updated the Swap List! 26 Feb. 2005 - New friend. Updated the Swap List! 6 Feb. 2005 - New friend. - New Link. 2 Feb. 2005 - Updated the Swap List! 27 January 2005 - New friend, updated the Swap List! 17 January 2005 - Updated the Swap List! 9 January 2005 - New friend. - Updated the Swap List! 29 December 2004 - Updated the Swap List! 18 December 2004 -Addes a page with Phonecards I swap it with coins. 11 December 2004 -Updated Euro-swap-coins. 9 December 2004 -Updated the Swap List now with Euro-swap-coins, new friend. 4 December 2004 - New Error from Luxembourg and Finland. 28 November 2004 - Updated the Swap List! 22 November 2004 - New Error from Germany. 30 October 2004 - New link in the page Links: the new page of partners. 11 October 2004 - New Error from Germany and Irleand. 6 October 2004 - New friend. 19 September 2004 - New Error from Portugal. 21 July 2004 - New friend. 4 July 2004 - New spectacular Error from Austria. Updated the Swap List! 3 July 2004 - New Error from Finland and Netherlad. 2 July 2004 - New friend. 2 June 2004 - New Error from Luxembourg and Netherlad. Updated the Swap List! 15 May 2004 - Updated the Swap List! 23 April 2004 - New friend. 19 April 2004 - Updated the Swap List! some fix at the website. 24 March 2004 - Updated the Swap List! New error from Italy. 1 March 2004 - Updated the Swap List!, New friend. 21 February 2004 - New error from Irleand. Updated the Swap List!, New friend. 14 February 2004 - New error from Netherlands and Greece. Updated the Swap List! 24 January 2004 - New error from Luxembourg. Add New coins, of "1 Lira horses 2", from Vittorio Emanuele III, king of Italy. 20 January 2004 - New friend. 17 January 2004 - Updated the Swap List! New Friend from Germany. 27 December 2003 - Updated the Swap List! New error from Portugal. 26 November 2003 - New friend. 9 November 2003 - New Errors from Netherlands, Portugal, add group on black lists. 19 October 2003 - New Errors from Austria, Belgium and Germany. 27 September 2003 - Add New coins on the Swap List. New information about coins from Vittorio Emanuele III, king of Italy. 13 September 2003 - Add New coins, of "1 Lire Eagle", from Vittorio Emanuele III, king of Italy. 5 September 2003 - Add New coins, of "2 Lire Horses 2", from Vittorio Emanuele III, king of Italy. New errors from Germany, Austria, Ireland. 5 August 2003 - The www.attilacoins.com is registered and ready!! 2 August 2003 - 10.000 visitors!! thank you all. 26 July 2003 - New coins on the Swap List, New information about errors. 22 June 2003 - New coins on the Swap List. 7 June 2003 - New coins on the Swap List. 12 May 2003 - New coins on the Swap List. 29 March 2003 - New Errors from Italy, Germany, Finland. Updated the Swap list. 14 March 2003 - New coins in the Swap list. New friend in the list of Friends. 11 March 2003 - Some update about errors, from Germany. 9 March 2003 - Some errors, from Germany. 2 March 2003 - Some errors from Greece and Netherlands. New coins on the Swap List. 22 February 2003 - Some errors update! 9 January 2003 - 10 February 2003 problems with the e-mails, sorry to all the people didn't have any answers since now. 9 January 2003 - Add New coins, of "1 Lira Horses", from Vittorio Emanuele III, king of Italy. New image of errors from The Netherlands. 6 January 2003 - Add New coins, of "1 Lira Bvono", from Vittorio Emanuele III, king of Italy. New errors from Germany. 25 December 2002 - New coins in the Swap list. 20 December 2002 - 5000 visitors! 2 December 2002 - New coins in the Swap list. 1 December 2002 - Add New coins, of "50 centesimi Lion", from Vittorio Emanuele III, king of Italy. 8 November 2002 - New errors from Netherlands. 3 November 2002 - Add New coins, of "25 centesimi", from Vittorio Emanuele III, king of Italy. 24 October 2002 - New errors from Netherlands and Italy. 21 October 2002 - New coins in the Swap list, new errors from Belgium. 6 October 2002 - New images on Euro Errors. New Italian Errors. 5 October 2002 - Some part adjourned. More humor. 22 September 2002 - Add New Euro Error from Ireland. 3000 visitors, thank you all. 21 September 2002 - Add New partner Anubiszone, all about 10 Euro cent., more Errors from Greece. 15 September 2002 - Add New coins, of "20 centesimi", from Vittorio Emanuele III, king of Italy. 30 August 2002 - Add New scan ob Belgium Errors. 25 August 2002 - Add New Errors, specially from Belgium. I'm back from holyday. 10 July 2002 - Holiday! from this moment the updates are stopped until the beginning of September. 10 July 2002 - Add new coins in the Swap List. 30 June 2002 - Add 10 cent Cinquantenary from Vittorio Emanuele III, king of Italy. 26 June 2002 - Add some coins in the Swap List, new Euro error variation from Portugal. 23 June 2002 - Add 10 cent bee and 10 cent Empire from Vittorio Emanuele III, king of Italy. Next: 10 cent Cinquantenary. 16 June 2002 - Add new Euro Errors from France and Luxembourg!, add new links, add new coins in the swap list. 12 June 2002 - Add new Error from Netherlands. 22 May 2002 - Add new coins to the Swap List, add new 1 Cent Italia and 1 Cent from Vittorio Emanuele III. 16 May 2002 - Add new coins in the Swap List. New stile. 5 May 2002 - Add new Euro ERRORS!! 18 April 2002 - New Euro Errors!!! New Friends. Soon will be a trader list page. 11 April 2002 - Now all Italian coins page are done, add last 500 Lire pages. 21 March 2002 - New restyle. 17 March 2002 - Added new Euro error from Germany, add 10Lire and 5Lire pages, Italian lire page coming soon. 13 March 2002 - Added 200Lire page and the weekly comics. 7 March 2002 - Added some coins in the swap list. 6 March 2002 - Added the FORUM - Join the Community. - I'm working to the weekly comic. 28 Feb 2002 - Added some coins in the swap list, I'm working to a forum. 27 Mar. 2006 - Updated the Swap List. 09 Mar. 2006 - Updated the Swap List. 4 Mar. 2006 - Updated the Swap List. 26 Feb. 2006 - Updated the Swap List. 18 Feb. 2006 - Updated the Swap List, New friend. 11 Feb. 2006 - Updated the Swap List. 04 Feb. 2006 - Updated the Swap List. Added New coins, of "2 Lire Horses", from Vittorio Emanuele III, king of Italy. 01 Feb. 2006 - Updated the Swap List. 23 Jan. 2006 - Updated the Swap List, New friend. 18 Jan. 2006 - Updated the Swap List, New friend, New Euro Error from Spain. 09 Jan. 2006 - Updated the Swap List, New friend. 25 Dec. 2005 - New friend. 26 Nov. 2005 - Updated the Swap List, New friend. 21 Nov. 2005 - Updated the Swap List. 02 Nov. 2005 - New friend. 29 Oct. 2005 - Updated the Swap List. 18 Aug. 2005 - Updated the Swap List. 12 Aug. 2005 - Updated the Swap List. 3 July. 2005 - New Error from Italy. - Updated the Swap List. 3 July. 2005 - New friend. - Updated the Swap List. 11 June. 2005 - New friend. 28 May 2005 - New Error from Greece and Finland. - Updated the Swap List! 14 May 2005 - Updated the Swap List! 4 May 2005 - Updated the Swap List! 1 May 2005 - Updated the Swap List! 2 Apr. 2005 - New friend. - Updated the Swap List!